Hot hot hot day on the farm! We drink a lot of water on these days. 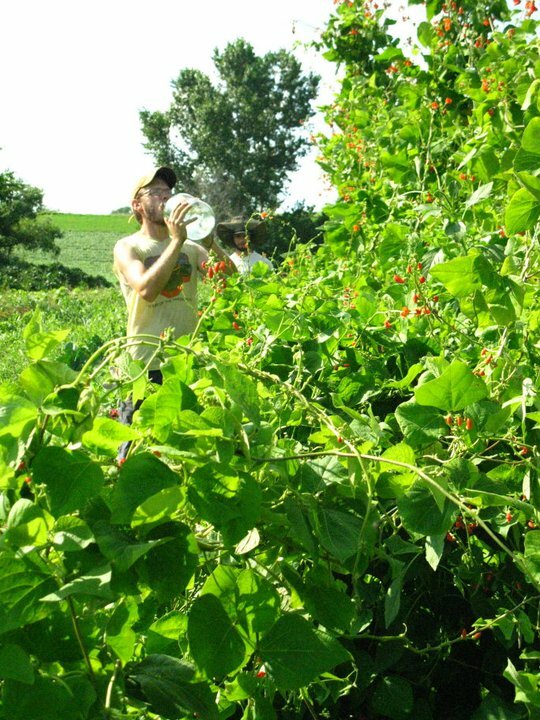 Friends help us put up large trellaces for the scarlet runner beans in the foreground. They would have kept climbing if we had poles longer than 10 ft.